Apple has a long-established reputation as a leading industrial design company. 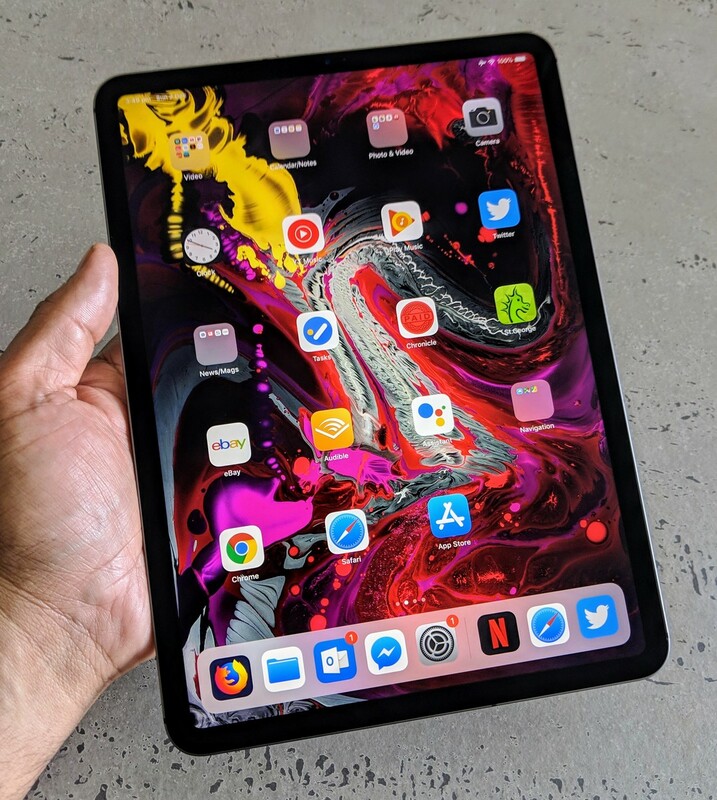 At first blush, the new iPad Pro 11-inch model appears to capture these hallmarks with our device feeling great in hand and looking like a seamlessly put together piece of hardware. Its traditional blend of aluminum and glass is pure Apple design at its finest. This time around it’s an all-new design with flat edges reminiscent of the iconic iPhone 5 design, but with much narrower bezels than in the past, no Home button and the introduction of Face ID on an iPad for the first time. However, as you are by now most likely aware, the build quality concerning its structural integrity is currently in question. Once again (almost unbelievably), Apple has found itself mired in another “bendgate” controversy of its own making. Bendgate 2.0 first surfaced with a viral video from YouTuber JerryRigEverything, who was seemingly able to bend one of Apple’s shiny new iPad Pro models in half all too easily. Then, in the first few weeks following its launch, Apple admitted that in fact some iPad Pro devices were shipping to customers bent out of the box. 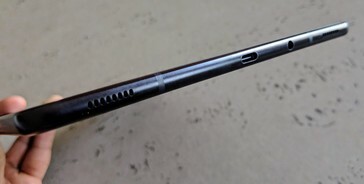 Other customers complained that even if the tablet wasn’t bent out of the box, it would bend under normal use when transported in a backpack, for example. Not good. Conversely, the Samsung Galaxy Tab S4 and the Microsoft Surface Go feel much more solidly constructed. Samsung uses a similar mix of aluminum and glass construction as Apple, but the device feels much sturdier in hand and we have absolutely no concerns about its build quality and rigidity. Its design is also sleek as well with Gorilla glass also coating the rear of the device and looking great, although it is the proverbial fingerprint magnet. It could also be susceptible to glass fractures upon dropping it, but that is a lot different to potentially getting one out of the box that is already bent. Microsoft uses a slightly more modern approach to the construction of its Surface line. It has (wisely) chosen to go with a magnesium alloy for its construction that gives it the ideal combination of structural rigidity as well as overall lightness. 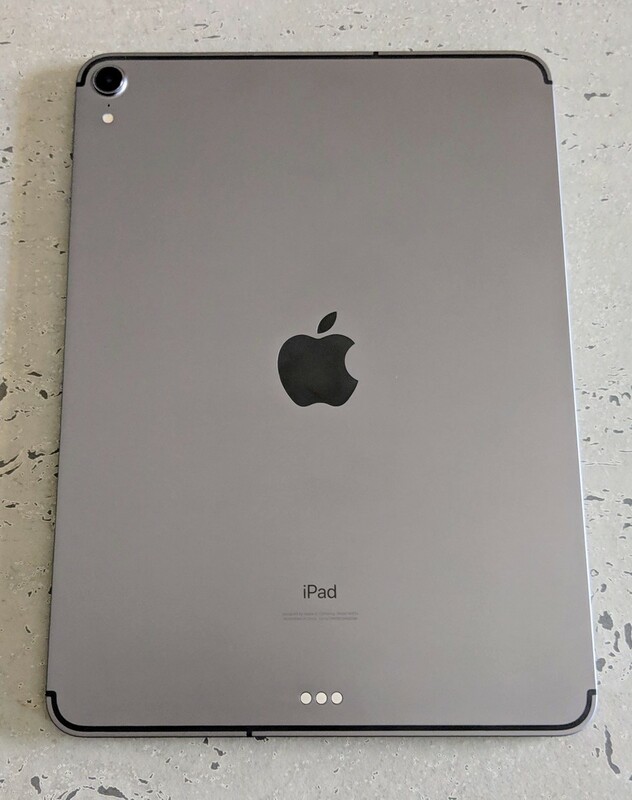 There is no doubt that Apple is wed to aluminum as its preferred material of construction, and it could always upgrade the iPad Pro in the future with a more rigid type of aluminum (as it did following the original iPhone 6 bendgate debacle). 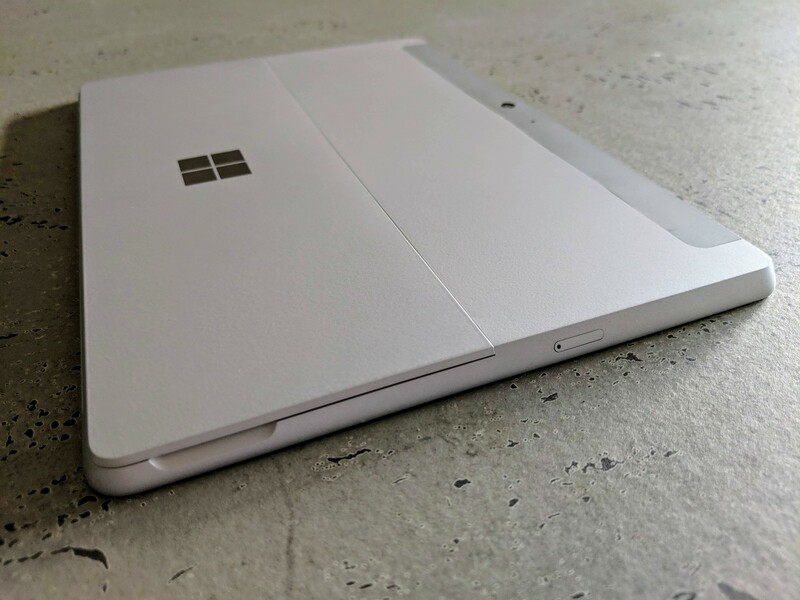 However, of all the devices on hand for this comparison, the Surface Go is our choice for the best combination of materials and construction. It is also a reasonable looker, even though its bezels are on the thick side for a 2018/19 device. In terms of their specific overall dimensions, the iPad Pro 11 is the largest of the three devices. It measures 247.6mm long and 178.5mm wide. It is just 5.9mm thick, which is most certainly on the very thin side, while it weighs in at only 468 grams. The Galaxy Tab S4 is more compact at 249.3mm long and 164.3mm wide. 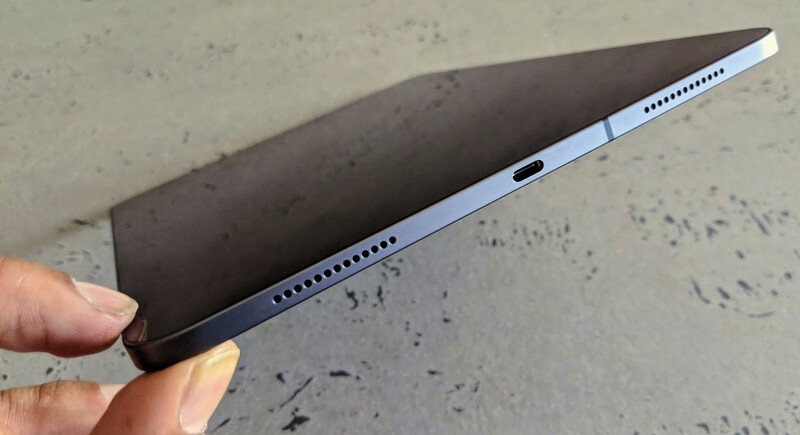 However, it is 7.1mm thick but is still a very slim device even if it weighs in slightly heavier than the iPad Pro 11 at 482 grams (a small price to pay for the extra rigidity). The Surface Go is quite similar to the Tab S4 at 245mm in length and measuring 175mm across. It is noticeably the thickest and heaviest device here at 8.1mm in depth and weighing 522 grams, but it feels like it could withstand the rigors of frequent use. The iPad Pro 11 is fitted with the latest in LCD technology from Apple that it dubs a “Liquid Retina” panel. LCD is not quite as glamorous as the AMOLED technology found in Samsung’s Galaxy Tab S4, but it still provides an outstanding viewing experience. Its 2K display resolution is 2388 x 1668 pixels and delivers a solid 264 ppi pixel density. Brightness is rated at 600 nits while it supports Apple’s True Tone and ProMotion technologies. The former measures ambient light to set the relative warmth of the display to the surrounding while the latter gives it a 120 Hz refresh rate. Unfortunately, although it can playback movies in HDR, its display is only rated at EDR as its brightness falls short of the 700 nits necessary for HDR certification. There are no such problems for the outstanding HDR-capable 10.5-inch Super AMOLED display on the Galaxy Tab S4. Like the iPad Pro 11, it is a 2K display with a resolution of 2560 x 1600 pixels for a pixel density of 287 ppi giving it the slightest, but imperceptible, edge. Where it falls short of the iPad Pro 11 display is in its refresh rate, which is 60 Hz as well as in the flicker department. While this is not noticeable to the naked eye, it can lead to eye fatigue. The other area where it falls short is in the reflectivity of its display glass. Samsung doesn’t specify this rating in its specifications, but Apple’s is measured at just 1.8% reflectivity. That being said, its outstanding blacks and color depth still provide a feast for the eyes. Like the iPad Pro 11, the Surface Go is fitted with an LCD panel. It sports Microsoft’s "PixelSense" branding and delivers a perfectly acceptable viewing experience. As the cheapest device here, however, it is indeed not in the same class as either the iPad Pro 11 or the Galaxy Tab S4. Its sub-2K 10-inch display has a resolution of 1800 x 1200 pixels, offering a pixel density of just 217 ppi. Although it is the smallest display here, its aspect ratio of 3:2 provides an adequate amount of real-estate for getting things done, but it is undoubtedly a little cramped. We would have liked to see Microsoft pack in a 10.5- or 11-inch display into the same chassis, which should be easy enough to accomplish. Overall though, it gets the job done, just with not as much aplomb as the others. One area where Apple is the undisputed king is with its A-series chip line. 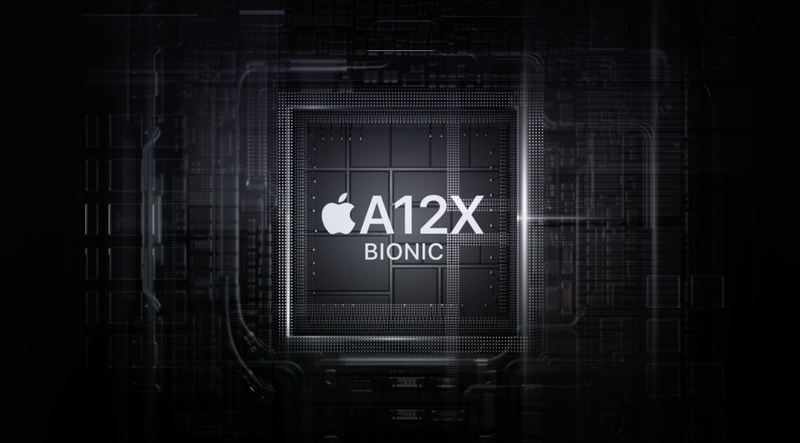 The latest and greatest of these is the all-new A12X Bionic SoC that powers the iPad Pro 11 and 12-inch models. Of the three devices on offer here, it is the clear performance champion. It features eight custom ARM-based cores: Four high-performance Vortex cores mated to Four energy-efficient Tempest cores with a maximum clock speed of 2.49 GHz. The SoC also consists of a custom seven-core GPU. In the Geekbench 4 test its single-core score of 5030 and a multi-core score of 17995 are comparable to Apple’s Intel x86-based MacBook Pro line in some measures. (Scores will vary depending on whether you have a 1TB or other configuration of the iPad Pro as the highest-end model features 6GB of RAM versus 4GB for the rest of the line.) Apple claims that its GPU is comparable in performance to the AMD Radeon-powered Xbox One S. In other words, the A12X is a performance beast. 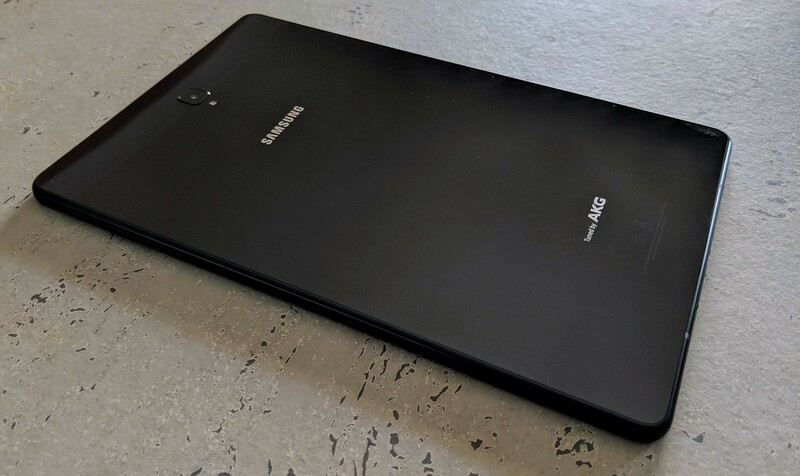 Although the Galaxy Tab S4 only hit the market in August, Samsung chose to fit it with a Qualcomm Snapdragon 835 from 2017 mated to 4GB of RAM. 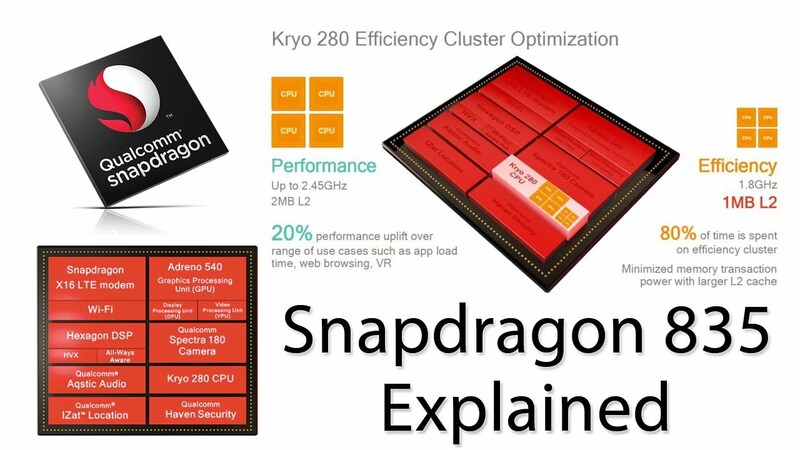 Given that even the latest Snapdragon 845 is already well behind the eight ball concerning performance compared to the A12X from Apple, the octa-core 835 is simply no match. Even Samsung’s own Galaxy Note 9 smartphone ships in the US with a Snapdragon 845 matched with either 6GB or 8GB of RAM, which is indicative that the company isn’t completely serious about taking on the iPad Pro with its tablet line-up (even though, ostensibly, it is the main competition). Perhaps Samsung is happy with its current market niche? The Tab S4 Geekbench 4 single-core score is just 1895 while its multi-core rating of 6262 barely tops the A12X single-core score of 5030, let alone coming anywhere near the iPad’s multi-core score of 17995. Its Adreno 540 won’t trouble an Xbox One S, but it will still be a decent mobile gaming performer. The Surface Go is the performance featherweight of the bunch. Its dual-core x86 Intel Pentium Gold 4415Y Kaby Lake-based 1.6GHz chip is streets, no, blocks behind the Apple A12X. It manages a feeble Geekbench score of 1778 and a multi-core score of 3965, with the latter score still well under even the single-core score of the A12X. You can forget about its integrated GPU Intel HD 615 from a gaming perspective, although that is not its raison d'être. Microsoft opted for the chip as it felt that at this price point, a Snapdragon WoS configuration wasn’t an option while the Pentium Gold offered reasonable performance and decent battery life for its target market. So, Candy Crush Saga it will have to be for Surface Go gamers or the ever-reliable Microsoft Solitaire for those downtime moments. In terms of everyday use, web-surfing, checking email and knocking out some Word documents, all of the devices get the job done. This means that for what it is, the Surface Go is good enough concerning performance and for getting you around 8 – 9 hours of battery life. That will get you through a full day at school, your commute or while out of the office. What helps its usability is that the LTE model is fitted with 8GB of RAM, giving it a decent amount of headroom for multitasking. Needless to say, the iPad Pro 11 and Galaxy Tab S4 are going to cruise through these types of tasks, even though they are fitted with just 4GB of RAM each. This is the benefit of running a mobile OS versus a desktop operating system, even if the Surface Go runs Windows 10 S out of the box. Speaking of which, this conveniently leads us into our next section. The iOS operating system may not be a match for a robust desktop operating system as it lacks features like a proper file system and support for a mouse and so on, but for certain types of professional workflows it might be all you need from a computing perspective. For photographers and graphic designers, the iPad Pro is more than sufficiently powerful. For filmmakers, it can support two simultaneous 4K video streams, making it a viable proposition for creating a rough cut in the field, particularly with the 1TB storage option. Of course, from an app perspective, the App Store offers by far the most tablet-optimized apps available on any platform. The Galaxy Tab S4 is not your ordinary everyday Android OS-based tablet. While Google looks to have abandoned Android for its recently launched Pixel Slate line in favor of Chrome OS, Samsung continues to slowly, but steadily, move the Android platform forward on its tablets. Although seriously hampered by the lack of properly optimized apps for Android, Samsung has a couple of impressive tricks up its sleeve to help make the Galaxy Tab S4 a competitive proposition by endowing it with out of the box support for its Android desktop experience known as Samsung DeX. Not only that, but it is also offering (currently in beta) the ability to run a virtualized version of the full Linux-based Ubuntu 16.04 LTS. The only issue from an OS perspective is that it remains on Android 8.1 Oreo with no update to Android 9 Pie in sight. As long as you supply your own mouse (as there isn’t one integrated into its keyboard case), DeX offers multi-window support much as you would experience in either Windows or Linux. However, its desktop doesn’t function in the same way, as it is effectively another form of Android skin. You may also find that, depending on the app, it may not necessarily work in the DeX mode. It offers a decent multi-tasking experience comparable to iOS and even Windows; it isn’t bad at all even if it is somewhat limited and is more of a skin that an authentic desktop environment. The real potential then is for Linux on DeX running on the Galaxy Tab S4. This is where we really wish that Samsung had upped the ante from a performance perspective. 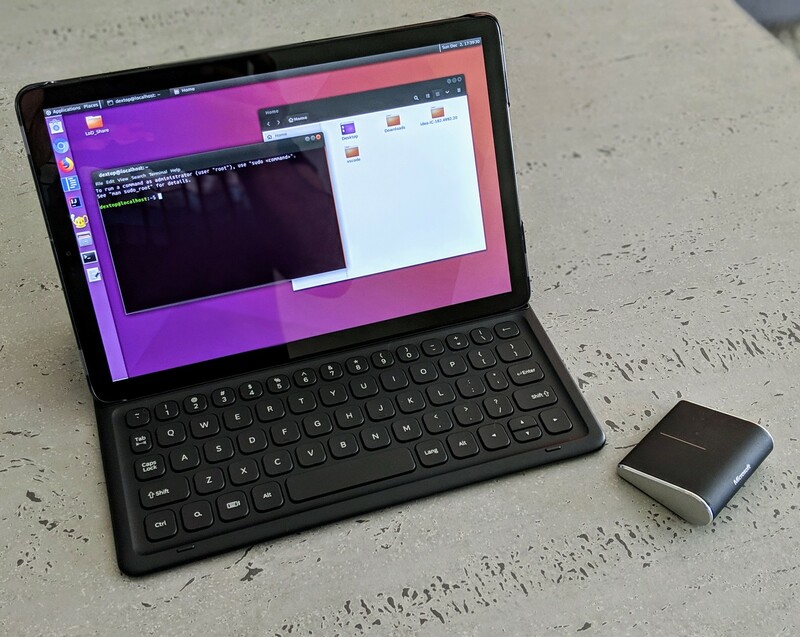 Where Linux on DeX works surprisingly well on the Galaxy Note 9 with Snapdragon 845 and 8GB of RAM within its virtualized container, it isn’t quite as smooth, functional or fluid on the Tab S4. The storage options and performance option on the Note 9 would make way more sense if built into a device like the Tab S4. It is an opportunity missed. The Surface Go, by comparison, is preinstalled with Microsoft’s Windows 10 S. This means that out of the box it is locked down to the Microsoft Windows 10 store, which remains bereft of apps even today. This also locks you into Microsoft’s decent Edge browser as well but limits you to Bing as the default and only search engine. Microsoft sells an enterprise variant of the LTE model with Windows 10 Pro out of the box for a few extra bucks, but that will certainly test the limits of its hardware configuration. If you are prepared to stick with Windows 10 S, which is what we recommend, you will find that it works perfectly well for its purpose. You will have no trouble or hiccups when it comes to Office-first productivity. Probably the worst thing about the lack of Android app support for tablets like the Tab S4 is that even though most Android apps won’t have any trouble scaling to the display resolution of whatever device you are using, they don’t all support landscape mode. This can be extremely annoying. For instance, Facebook Messenger for Android works in landscape mode for scrolling through messages, but then flips midstream into portrait mode when you go to type a response! The lack of apps for use in tablet mode on the Surface line is also a real pain in the neck. 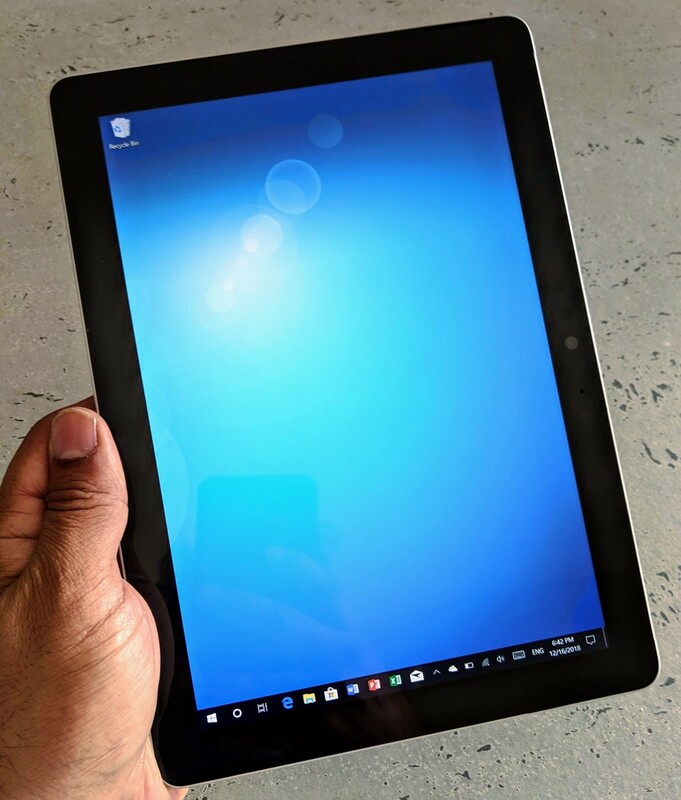 Microsoft has got the OS set up perfectly to work in either desktop or tablet mode, but the lack of tablet-ready apps for Windows 10 is as bad as the lack of apps that killed off Windows Phone. The iPad Pro 11 isn’t without its own app frustrations, despite the extensive tablet-optimized app line-up available for it. As the resolution is all-new for this device, there are still many developers who haven’t yet updated their apps (if they indeed ever plan to) to support the new resolution. This means that some apps will display by default on your iPad Pro 11 as though they are running on a 9.7-inch iPad. This is almost as infuriating as watching an Android app only work in portrait mode (or flip on you in the middle of using it). The end result is something like having thick black virtual bezels added to your device. Naturally, this completely defeats Apple’s goal of delivering an “all-screen” tablet. In terms of Office-first style productivity, you won’t be able to get much done without a keyboard. Thankfully, each of the makers here offers a solution for customers who require the input device. However, none provides it as part of a bundle. If you want the Smart Keyboard Folio for the iPad Pro 11, you will have to cough up an additional US$179; the Book Cover Keyboard for the Tab S4 will set you back US$150; the Signature Type Cover for the Surface Go will cost you US$130. Of course, none of the companies has any qualms advertising the devices with the keyboards without making it clear that they are an optional accessory - you will have to pay extra for them. 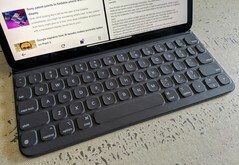 Despite being a second-generation design, the iPad Pro 11 Smart Keyboard Folio isn’t much better than the original version. It still feels exactly the same to type on, which is to say that it has relatively short key travel and is still made of the nasty-to-touch tarpaulin-like material. It will resist spills, but it marks quite easily from fingernails. A look at the Apple Store shows the average user review score sitting at 3 out of 5 stars, which is pretty poor feedback given how much Apple charges for the thing. It remains without backlighting but is the only option currently available that integrates with the Smart Connector. 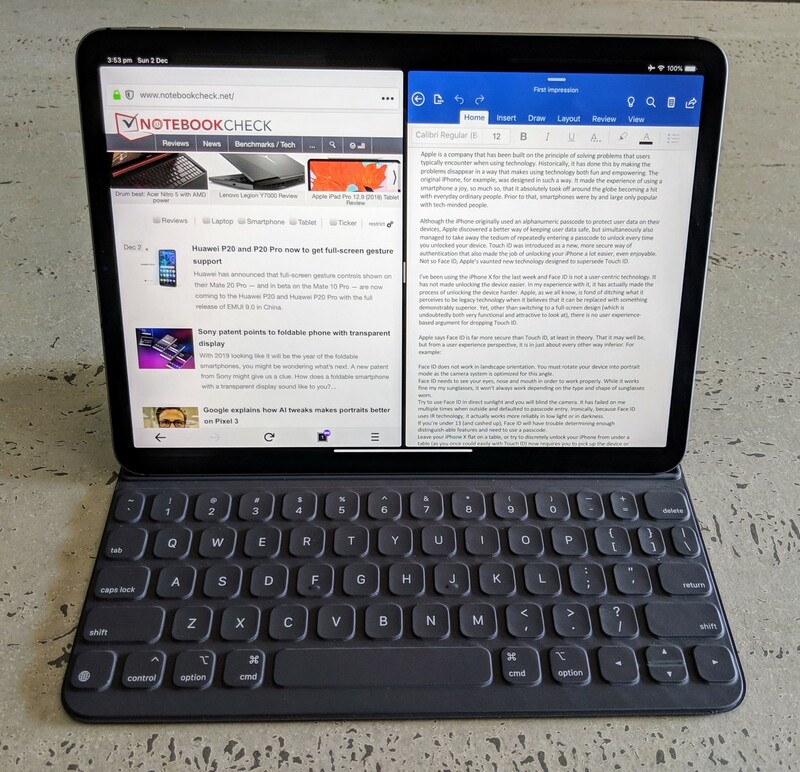 The Book Cover Keyboard for the Galaxy Tab S4 is a more traditional-style chiclet keyboard that certainly feels more comparable to a typical laptop typing experience. However, it is a little cramped and doesn’t offer backlighting. That being said, it provides much better protection for your device than the iPad Pro 11 keyboard. The Samsung keyboard cover gives solid 360-degree protection, but the iPad Pro 11 keyboard leaves the device vulnerable on the edges. As it is kept in position by magnets only, the iPad Pro can be prone to slipping out too easily if the bond breaks its connection. We’d choose the Samsung keyboard over the iPad Pro keyboard without hesitation, even if it is a little thicker and heavier. The best of the bunch to type on, despite its somewhat cramped keyboard, is the Surface Go. 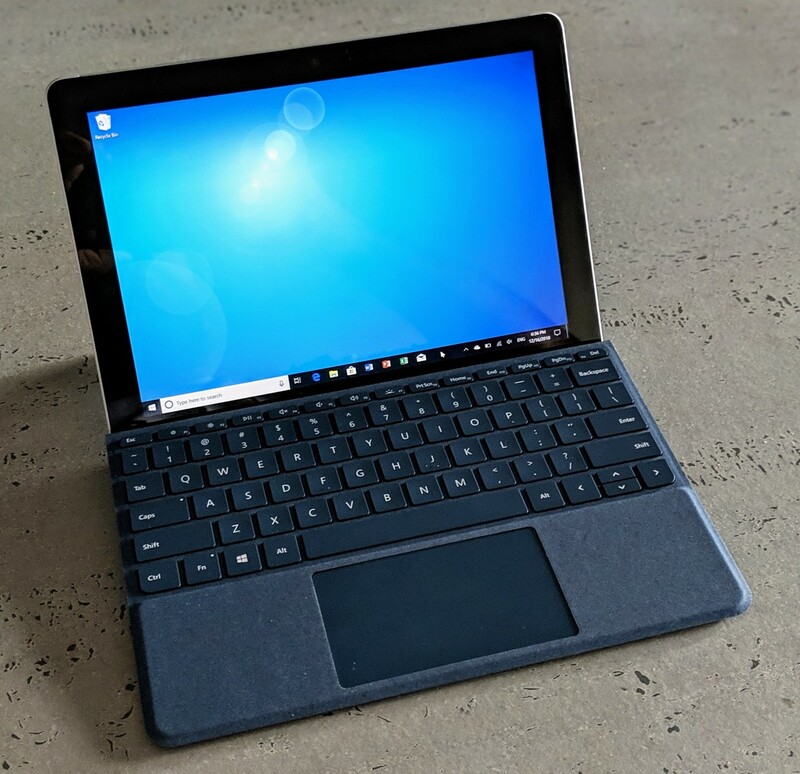 The Type Cover has long been the best tablet keyboard on the market, and the same goes for the Surface Go variant. It offers excellent travel and feel and is also the only one to offer keyboard backlighting. Like the iPad Pro keyboard, there isn’t much protection for the sides, and in this case, the back either. However, as we have noted, the Surface Go has been designed with resilience in mind, so we are less concerned about the lack of protection from its keyboard cover. It is a delight to use. 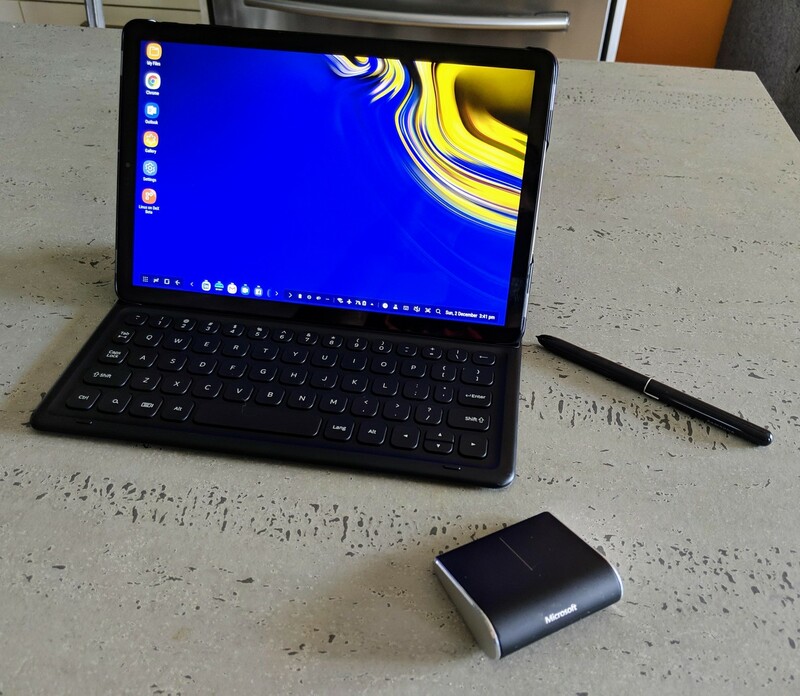 Both the Galaxy Tab S4 and the Surface Go offer mouse support. In the case of the Go, this is baked into the Type Cover itself, which is undoubtedly handy to have. 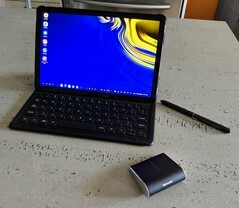 Given the Galaxy Tab S4 also supports mouse input and the DeX UI has been marketed as one of its marquee features, it is a wonder that Samsung didn’t build a trackpad into its official keyboard accessory for the device. 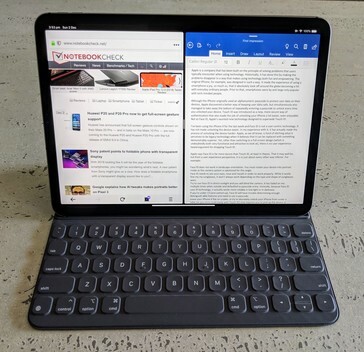 Of course, that would have completely changed the design of the device and made the keyboard cover larger and less easy to fit on a lap, but it is an odd omission under the circumstances. We’d love to see mouse support for the iPad Pro line, but Apple, as we all know, thinks that it knows best how to use its own devices and continues to resist user requests for the functionality for philosophical reasons. Sigh. The Galaxy Tab S4 and Surface Go also sport USB-C ports, with the latter being the only device in the Surface tablet range to be currently fitted with one. The key difference with the Surface Go is that it can pretty much do all the tricks that the iPad Pro can do with its USB-C port; the Go’s most significant advantage here is that its USB-C port supports all the capabilities of USB-C, which includes full external hard drive support as well as mouse support. Although the Tab S4 incorporates a USB-C port as well, like the iPad Pro, it has its limitations thanks to its operating system. This means you won’t be able to connect any external hard drives to it either. As it natively supports microSD cards with a file system, this isn’t such an issue. 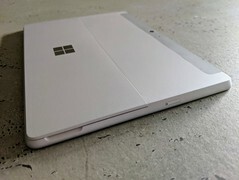 Overall, the Surface Go offers the most functional hardwired connectivity. The new iPad Pro is a powerhouse tablet. It has an incredible amount of horsepower under the hood, and for certain pro users that will certainly be not only welcome but in fact actually useable. For others, it makes a great lightweight and highly mobile alternative to a laptop for Office-style productivity within the ongoing limitations Apple placed on iOS. The fact that Apple offers LTE variants also gives some users a reason to pick it over a laptop when away from home or the office. However, there are now serious durability and build-quality issues hanging over the device that makes it hard to recommend. Otherwise, recommending the iPad would have been easy if your budget stretches far enough and it fits with your expected usage scenarios. Samsung is one of the few OEMs still producing Android tablets that can offer a compelling alternative to Apple’s grip on the tablet market. The Tab S4 is a very competent device with an outstanding display and excellent build quality. The integration of Samsung DeX into the package as well as support for Linux makes it a good choice overall. However, the older Snapdragon 835 chipset and just 4GB of RAM hold it back from being a great piece of hardware. Limited native Android app support that properly takes advantage of its 10.5-inch display also holds it back from being a great device in general. Still, it will fit the bill for many people looking for maximum mobility. The Surface Go is an excellent proposition from a value perspective. 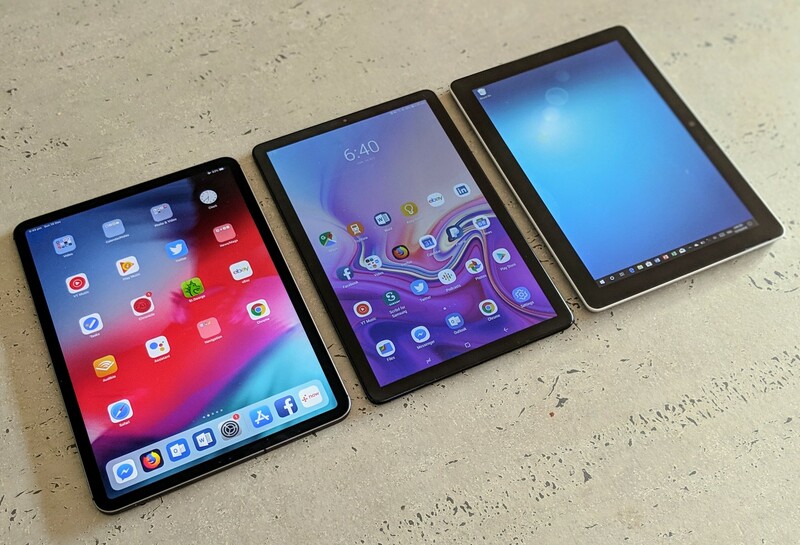 It offers a full desktop experience in a device that is just as mobile as the iPad Pro and the Galaxy Tab S4, which means that you won’t run into any potential roadblocks that you might find in the mobile-first operating systems running on the iPad Pro and the Galaxy Tab S4. However, its screen is a tad cramped, and its Pentium processor is only sufficient to get the job done. It could also really do with much better app support for its tablet interface – at least with the Tab S4 you can still run a vast array of apps made for Android. We’d go for a Surface Pro 6 LTE model, but the only problem is Microsoft doesn’t make one – your only option is the Surface 5 LTE. As such, there is no stand-out winner here. The iPad Pro would have got the gong but for its Bendgate 2.0 woes. 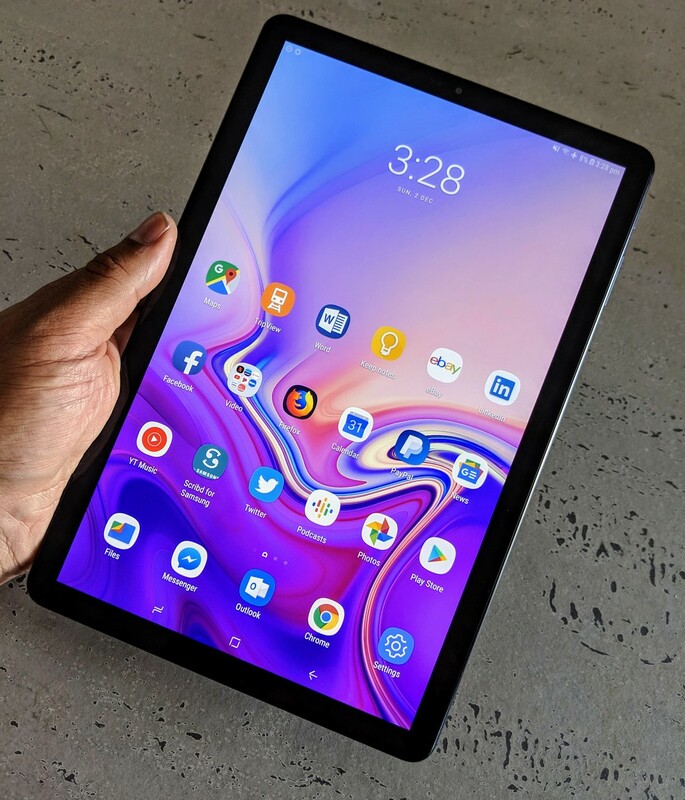 The Galaxy Tab S4 is certainly the most direct alternative and is the tablet to choose for a balance of build quality and overall usability, but it could really have done with a better chipset or at least a more generous serving of RAM. The Surface Go will make a great device for students -- a larger screen and a more-powerful processor in the same form factor and it is a would-be winner of this comparison just as much as the Tab S4 might have been. What that leaves us with is a muted recommendation for each, according to the limitations that have been outlined. They are all potentially great devices that have not insubstantial shortcomings.